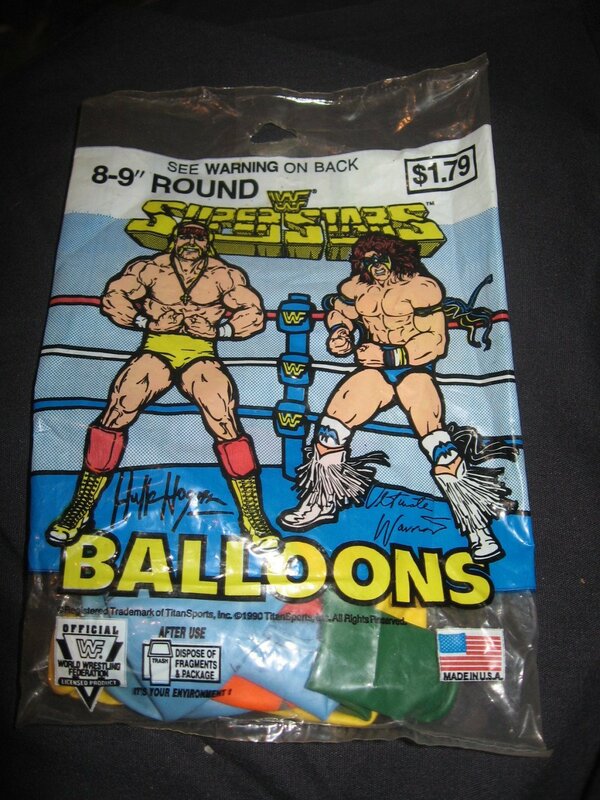 Someone Bought This: Hulk Hogan and Ultimate Warrior round balloons - WrestleCrap - The Very Worst of Pro Wrestling! It’s Hulk Hogan and Ultimate Warrior round balloons! These guys didn’t just have inflated egos, they also had inflated balloons! 9 Responses to "Someone Bought This: Hulk Hogan and Ultimate Warrior round balloons"
They’ll have a chance to air out their differences over who gets the bigger pop. 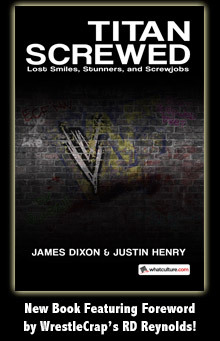 That’s my gimmick. Hope it doesn’t blow you up too much. I always try to come up with something good. Ooops I arrived too late to make a joke. Oh no wait…. “These balloons have even less hot air than their two egos combined”. (thinks for a second) Nope, doesn’t work, I tried. Just remember to rise to the occasion and you’ll be fine.